I see The Fabindia School as a rich legacy passed onto the students of Bali from 1992 through the family called Bissells. They may not be the Maharajas of yore but surely are Maharajas of large-heartedness and owners of endless love, the rivers of which flow through the corridors of The Fabindia School ever since its inception. Then why not for a change consider the school as a Princely state of Rajasthan! An institution with a rich legacy and replete with the culture of Rajasthan. Spread over an area of 8 acres the campus nurtures ‘Purohits; Rajpurohits; ‘Deoras’ and descendants of various dynasties from the and princely estate of Bali! When I take a glimpse of the school through the corridors of time, I see it bubbling with history. I see a state within the state of Rajasthan! A district characteristic of rich cultural heritage of education through example; education through love and teaching through resourcing! On its periphery, to the West lies a green cover of the jungle, born out of constant efforts to maintain the wild growth of an embedded water harvesting system. This is the continuing source of water to its green cover in and around the school. Thanks to the far-sightedness of its Board members who got the water harvesting system so that its residents could have a lush canopy of greenery where they learn precious life’s lessons right in the middle of the lap of nature! The Fabindia School has an important arena of historical incidences in the ancient past; where once stones, dry arid waste existed. Wars were fought of hard work, brainstorming to dig foundations through sheer hard physical labour where not a drop of water existed, now has a strong, rock solid classrooms. They resound with the chirpings of its students. It is the brightest and greenest spot in this part of Bali. Within the ramparts of its four walls, the school stands on four firm deeply rooted pillars- STUDY, SPORT, SKILL AND SERVICE. It has houses that reflect four great personalities of India, representing the ethos of these 4 Ss - Mother Teresa House (SERVICE), Sir C. V. Raman House (STUDY), Maj. Dhyan Chand House (SPORT) and Mahatma Gandhi House (SKILL), that is believed to have been a cracked, parched, rugged and stone dry ground worth nothing has a 25 year old school running as efficiently as any other school, oblivious to the sacrifices and hard that must have undergone in its early years of birth! It's birding species come from as close as Bali (3 Km) and as far as Beda (42Km). The state was born out of sheer challenge not only to bring up a school on a dry arid, stony land but out of the passion for giving something back to the society as a way of service by its Founders. Though the roads in and around the school may be rough, though the lessons learnt at the school may be difficult but the character in the end moulds into a sound, all rounded person- one who is worth the citizenship of this state. 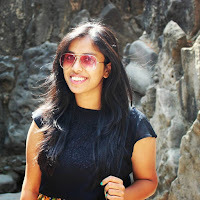 Shefali Jain studied from The Fabindia School in the year 2013-14. Then she went to Mumbai to do CA. She did her CA from The Institute of Chartered Accountants of India. She is nowadays doing her Internship at The Institute of Chartered Accountants of India, Mumbai. Her golden moments were when she was chosen to go on an Exchange Program to Loomis Chaffee, US. She was good in Academics and Sports. She actively participated in Inter House Competitions. URE: I joined the school on 7th July 2009. URE Mrs.Pareenita Rampal was the Principal at that time. ED:: What type of environment was there? URE The environment was healthy and helpful for both students and teachers. ED:: Which classes did you teach at first? URE I taught Class UKG at first. ED:: Are the students still in contact with you who have left the school? URE: Yes, there are some students of class 8th who are still in contact with me. URE My qualification is MA BEd. URE I expect my students to be well disciplined and respectful to others and school. URE No, I didn't teach any school before Fabindia. URE: I would like to give the message to my students to be a responsible student towards school, family and society and try to learn from each and everyone. The Staff bids farewell to Mr Surendra Singh who worked for the School for seven years. Now he has got a Govt. Job. May he have a bright and prosperous future! Bali has begun to experience high temperatures and severe heat. So far most elevated temperature has risen to 42 degree Celsius, and the minimum has been 27 degree Celsius. Humidity is at 11%. Considering this the Collector, Pali has ordered all school authorities to close down the schools for Summer Vacation on 10th May’17. Rajveer Singh/ VI-A: Thank you Rajeshwari ma'am to give me support when I needed your help. Pushpendra Singh/ IX: I was not interested at all in Math, but Prerna ma'am made me capable. Thank you, Prerna ma'am. Yamini Rathore/ V A: Thank you Monika ma'am to for giving me support to read and write in English. Khushi Malviya/ X: Thank you, Principal ma'am, for correcting my pronunciation every time when I made mistakes. Droov Kumar/ VI-A: Thank you Rajeshwari ma'am for making me a capable student of Hindi. Prayag Raj Singh/ VA: Thank you Neelam ma'am for motivating me in Math I was very weak in Math, she make me capable. Dakshita Sirvi/ V: Thank you Ishu ma'am for correcting my pronunciation in English. Yashoda Choudhary/ V B: Thank you Prerna ma'am. I had learnt from you the calculation very well. Kirti Suthar/ V B: Thank you Urmila ma'am to explain us chapters very nicely. Pushpa Chaudhary/ VB: Thank you Vinit sir to help me to understand the concepts of games very nicely. Jeenal Meena/ V B: Thank you Surendra sir for motivating us to play games. Rahul/ V A: Thank you Monika ma'am for teaching us the basic knowledge of English. Gungun Sheikh/ VIII: Thank you Tarun sir fir teaching us discipline, manners and much more things about games. Madan Solanki/ VIII A: Thank you Prerna ma'am and Negi sir for improving my Math. Mangilal Dewasi/ VI B: Thank you Sharmila ma'am for improving my skills in EVS. Jhanak Devda/ VI B: Thank you Usman sir for improving my computer skills. Apoorva/ V A: Thank you Monika ma'am for teaching us English very nicely. Rajeshwar Singh IV-B: Thank you Urmila ma'am for teaching us new things in Hindi. Kamal Asarsa/ VIII A: Thank you Prakash sir for teaching me Congo. Bhupendra Sirvi/ VIII: Thank you Negi sir for helping me to understand the concept of Math. Varun Malviya/ VIII A: Thank you Negi sir for helping to understand Math problems. Meet Soni/ VIII A: Thank you all the teachers for teaching me discipline in school. Pradeep Solanki/ VIII A: Thank you Tarun sir for helping me to get the rules and regulations of sports. Vishal Rathore/ VII A: Thank you Prakash sir and Parth sir for helping me to improve my skills. Himanshi Rajpurohit/ V A: Thank you Urmila ma'am what you have taught till I understood all that very clearly. Lalkar Singh Ranawat/ XI: Thank you Byju sir for motivating me to do hard work always. Priyanshi/ III: Thank you Gajendra sir. Because of you only my writing has improved. Deepika Soni/ XI: Thank you Usman sir for improving my skills in computer. Neha Bhati/ XI: Thank you Ajay sir for making me a capable and a good student of Math. Thank you, Bharti ma’am for being a true teacher and solving my problems. Harsha Suthar/ X: Thank you all the teachers who made me an able student. Thank you too Principal ma'am also. Rohit Vaishnav/ IX: Thank you Prerna ma'am for making us self-confident. Manmanvendra Singh/ XI: Thank you Ajay sir for helping me at that time when I needed you. Ritu Chouhan/ IX: Thank you K.G. sir, for motivating me to always move forward. Thank you, Sir. Harshit Singh: Thank you Sharmila ma'am for making me a good student of EVS. Kirti Malviya/ XI: Thank you Ajay sir because of you only I could create interest in Math. Ronak Chouhan/ XI: Thank you K.G. sir, for teaching us Hindi nicely. Dilip Singh/ IX: Thank you Byju sir for motivating me to study Science every time. Bhumi Mandora/ VII: Thank you, Monika, for improving my Grammar skills. Harshit Singh/ VI: Thank you Zafar sir for holding our library very beautifully and to make us understand how to sit in the library. Kinjal Rao/ X: Thank you Kusum ma'am fir teaching us SST very nicely. Maharaj Singh/ XII: Thank you Staff of the School who have helped me in many problems. Shivam Soni/ XI: Thank You Bharti ma’am and Principal ma’am for motivating me to speak in English instead of my local language Marwari. Tuesday, 9th May: That day was the last day of School before it closed down for Summer Vacations. 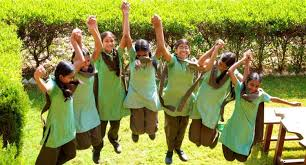 All the teachers gave Holiday Homework in their respective subjects so that they may remain in touch with their studies in holidays also. English Reading Project was also given to the students to improve their reading abilities. NOTE: The School is closed for Summer Vacations from 10th May’17 to 18th June’17. The School reopens on 19th June’17. We will be back with more news and views when the school reopens on19th June’17.